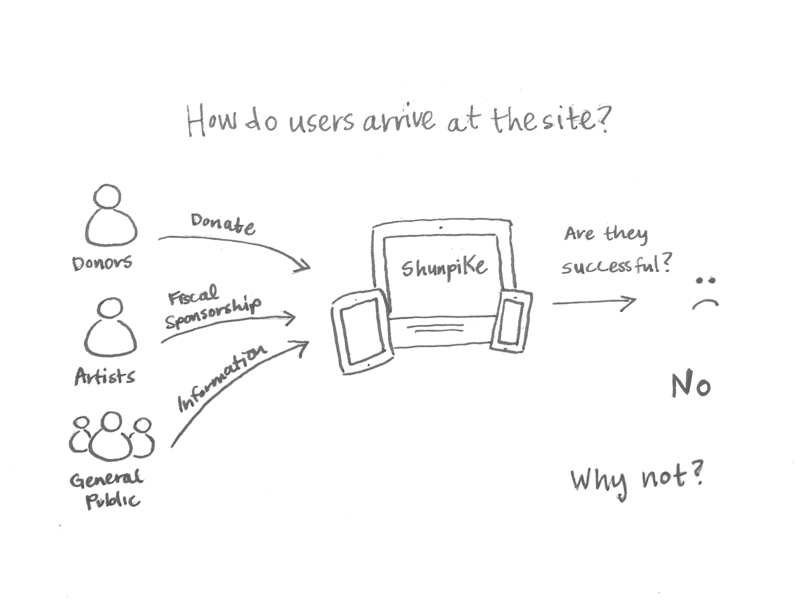 Redesign the existing Shunpike website and simplify user journeys to increase sign-ups and donations through the website. 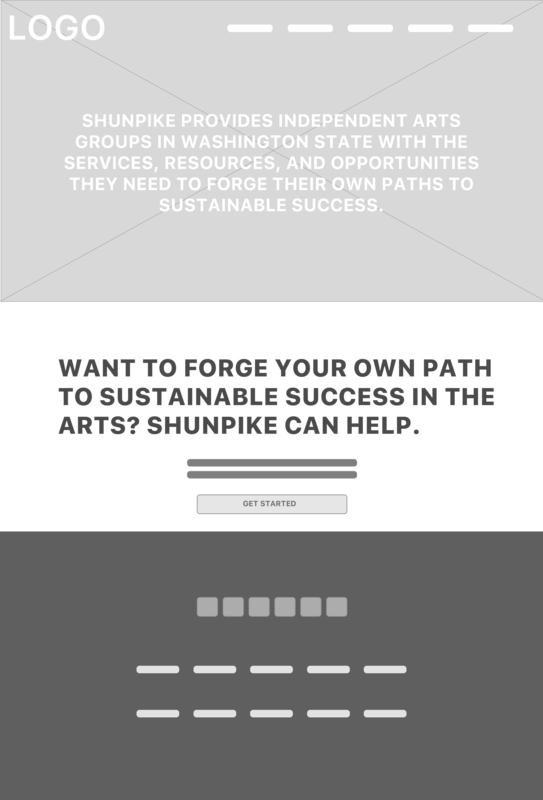 Shunpike is a Seattle based organization that provides fiscal sponsorship to arts groups in Washington. Their mission is to replace the cliché of the ‘starving artist’ with an innovative entrepreneur. These tools were very helpful in tackling this challenge. 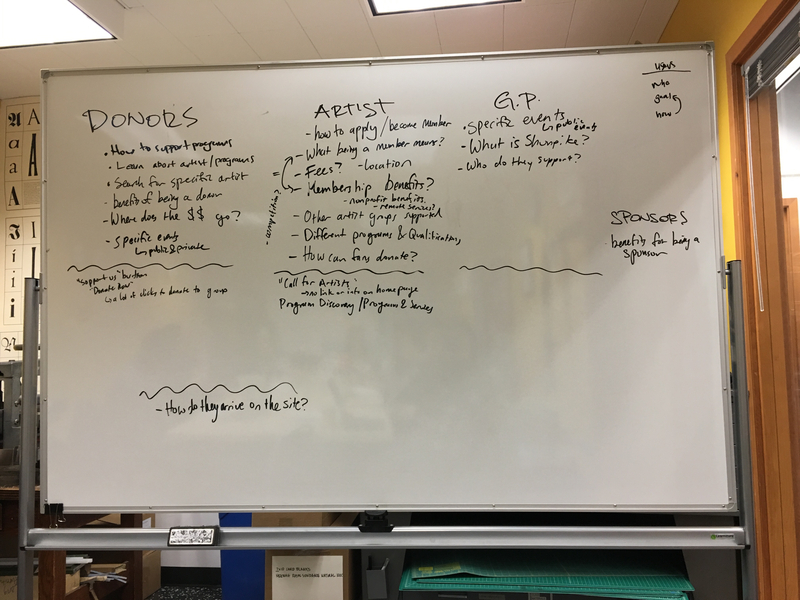 As part of my SVC capstone class, I worked on a small team of students to help Shunpike engage artists and donors through a complete website redesign. By the end of the 10-week project, our team designed key modular frames with streamlined information site architecture. We created a clear enrollment process, coherent organization of content, and a more cohesive conversion flow. 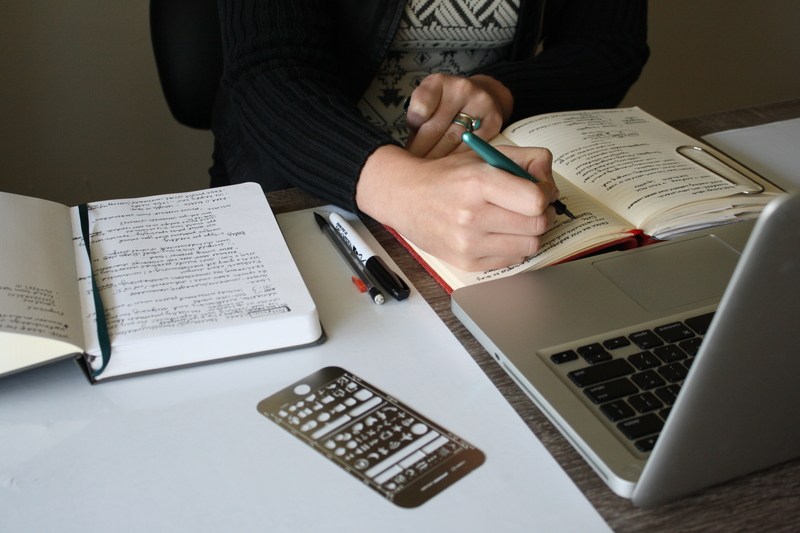 Before conducting our interview, I developed questions with a teammate and arranged an interview. Our first interview conducted was with a board member of the organization. She had deep knowledge of the artist and donor experiences and pain points. We learned about two key areas where users were falling off. One was the artist sign-up page. 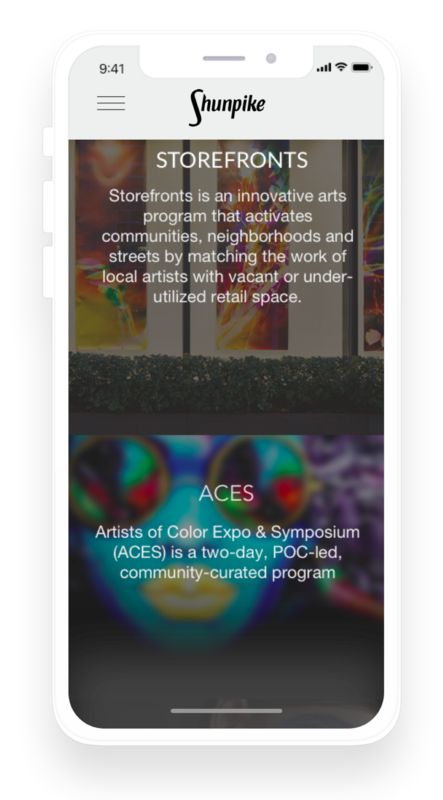 Artists could only sign up during brief enrollment periods with an unclear call to action, so they were leaving to go to competitors. Another key takeaway was that donors could not find a list of artists. Donors had confusion about where to go to find a particular artist or search for a group. There were many clicks for them to get to an artist page and then many more clicks to be able to donate to that artist. These two user journeys became the focus of our attention to reorganize the site architecture before we began designing. Shunpike’s valuable time spent on the site translated into a comprehensive design brief to get us started. 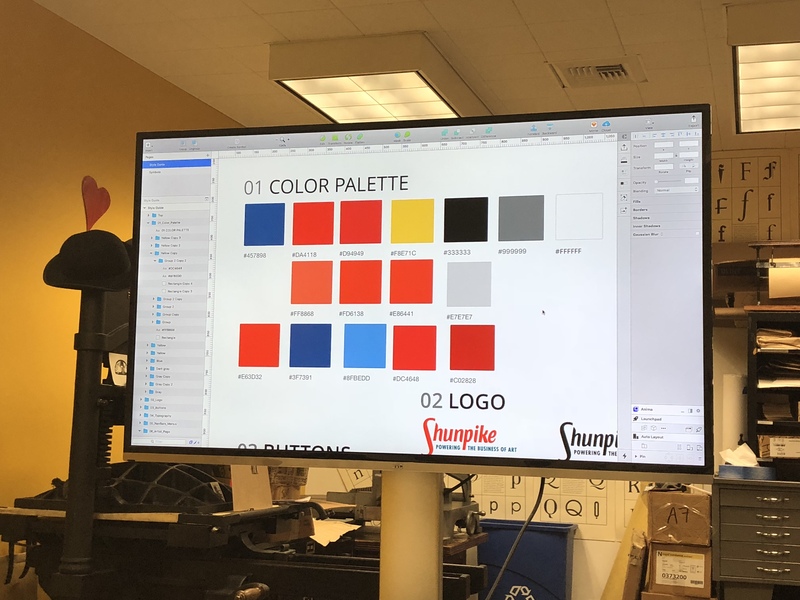 We met with Shunpike to discuss the design brief and found frustrations in the site architecture and duplications. 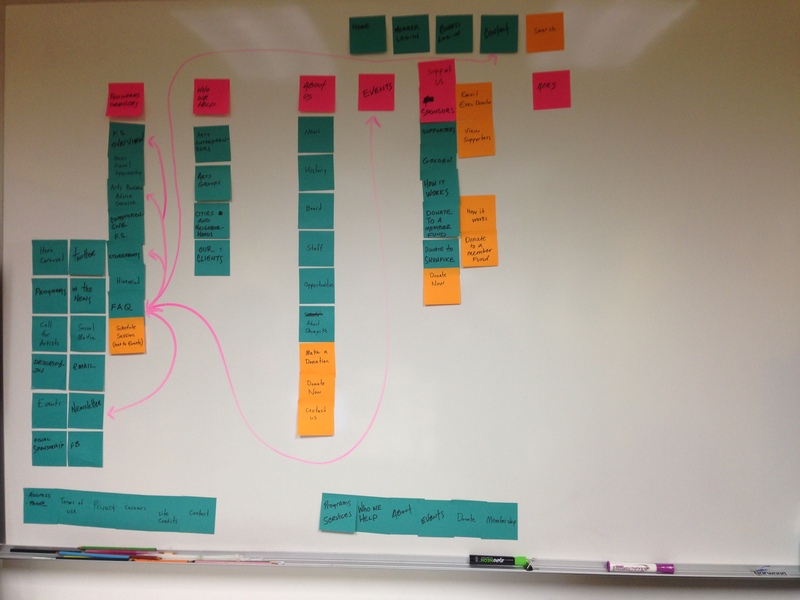 This was an “aha moment” when we focused on streamlining site architecture. Our weekly in-depth critiques led to the success of our project. Through design stand-ups we were able to share progress and move forward through joint decision making. Our client was very impressed. The most challenging part of this project was connecting with teammates during the week. Our style guide was constantly evolving so it was key to share our updates via Slack, Google Drive, and messages to ensure each team member had an up to date copy. The project outcome was a packaged hand off for the client. The package has a style guide, recommendations, high-fidelity mockups, and specifications from Sketch and Zeplin. 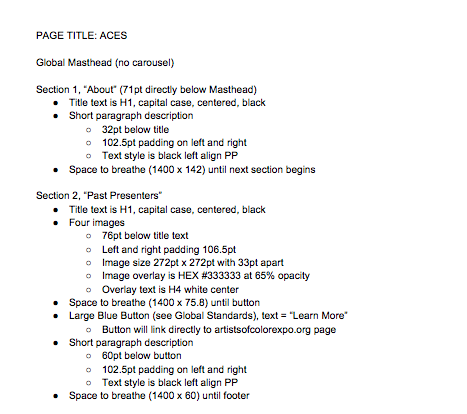 The SVC visual design and copywriting capstones have these to take and create a live site. 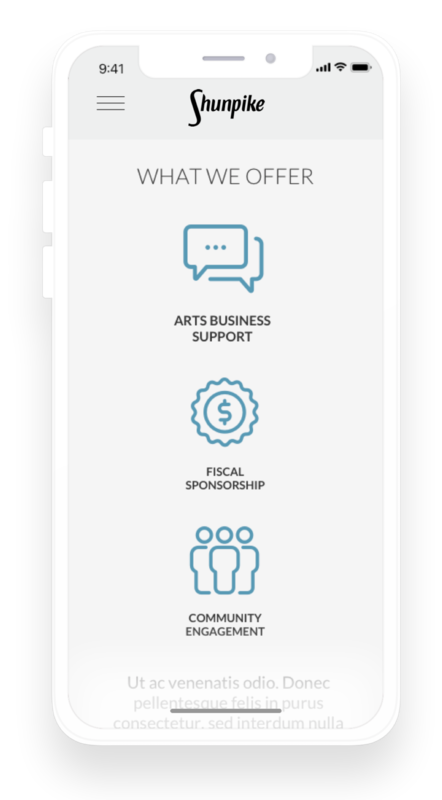 We were available for support after handing off for any questions or UX recommendations for development and launch. I enjoyed sketching and watching my sketches come to life throughout the process with a team. It felt like a little celebration seeing infographics on a teammate’s page that started as a thumbnail in my sketchbook. My sketch of a small State of Washington with regions depicting Shunpike’s aim to show their statewide artists. This was very important to show that the organization has a statewide reach outside of Seattle. Before developing the style guide I researched WordPress themes that would fit Shunpike’s needs. We knew they would be continuing on with a WordPress developer. To make sure the transition was as smooth as possible this style guide aligned with the WordPress theme. I brought the top three themes from my research to the class and we voted. From the winning theme I extracted type styles. I created a typography template in Sketch for the team with buttons, colors, and navigation elements a classmate created. 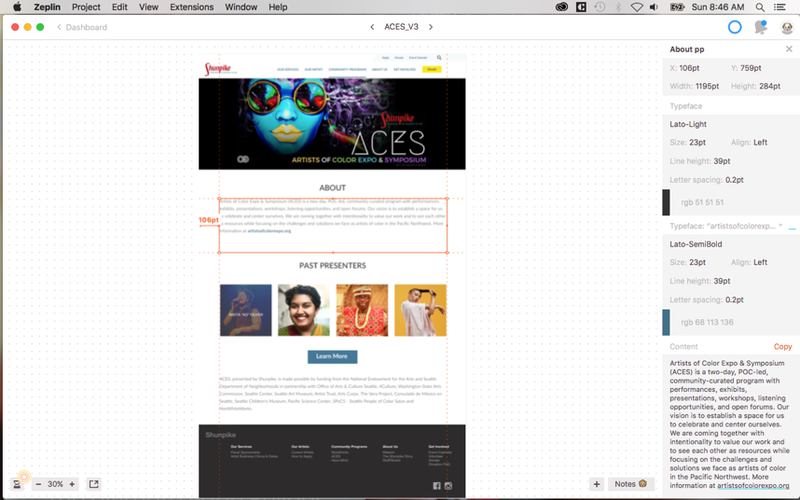 These were the foundation of our page designs going forward to ensure we came out with one cohesive site design. As we wrapped up the project for client handoff I audited and updated team Sketch files with a classmate to ensure our style guide and pattern library was consistent across the entire site. We received feedback from our client that our style guide was a success. We told Shunpike’s story in a clean, modular framework with fewer clicks and clear calls to action. 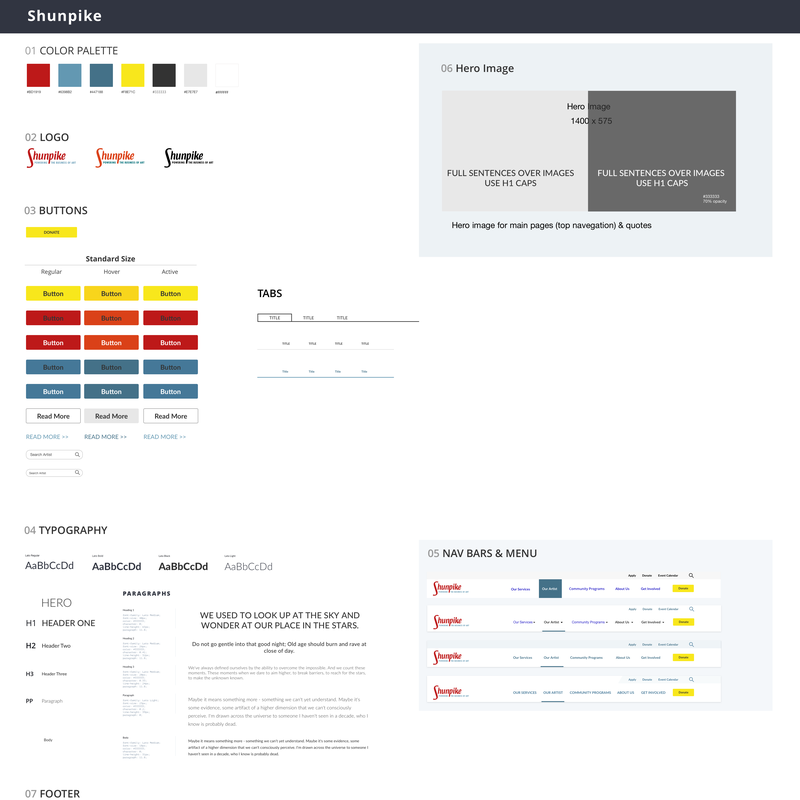 Shunpike is using the style guide in rebranding and a marketing campaign to gain support for the site launch. They said it was as if the project was from one designer. Shunpike approved our designs and are in the process of building out the website redesign. I will update this case study with user sign-up and donation % increases after the site launch. Final high-fidelity images from multiple designers on our team using our style guide for a cohesive final product for Shunpike.